Often I have clients tell me they are 100% innocent of the crime they are accused of committing. Then, the State Discovery Submission comes with a DVD of my client’s confession. How can that be? Drawing on the distinction between coerced-compliant and internalized false confessions there are two mechanisms by which innocent suspects might confess when confronted with false evidence. First, research has shown that people in general confess as an act of social compliance when they feel trapped by the apparent strength of the evidence against them and perceive no other means of escape. Second, research has shown that false evidence, a strong form of misinformation, can create confusion and lead people to doubt their own beliefs, at times internalizing guilt and confabulating memories for crimes they did not commit. See Inside Interrogation. In addition to the dispositional and situational factors that can increase one’s vulnerability to false confession, research shows that innocent people who stand accused believe that their innocence will become apparent to others, a naive belief that leads them to waive their Miranda rights to silence and to an attorney. See Inside Interrogation. If you or a loved one has been arrested and or the police want to question you, ask for an attorney to be present before and during all questioning. 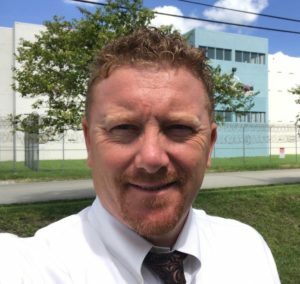 Contact Broward Criminal Defense Attorney Neil C. Kerch to safeguard your rights. I have been arrested. What happens next? Being arrested is often a very traumatic and difficult experience. It is a stressful event that can have a lasting impact on your life. This post explain the steps you will go though if you are arrested and charged with a crime in Florida.